Saving money is something in which most people and businesses are looking to make happen in their lives or their businesses. There are several tips out there for those who are serious about saving money and all of these do have some merit. However, most people who have a business are looking for ways to save money, which are not going to interfere with the quality of work their business is offering. After all, the livelihood of their business depends on the quality of their work, and when cutting corners to make a budget, the quality of work can suffer. Those who own a business and are interested in business savings, are going to find utilizing a budget is a great place to start. However, when budgeting their money, they need to ensure the items they are cutting from the budget are not going to affect the quality of the products or services they offer. Through ensuring the product or service will not be affected, the business can cut their expenses, while still gaining the revenue they have predicted. It is important the business take into consideration everything they are doing about budgeting their money, otherwise they could put themselves into a situation in which they are not going to be able to bounce back from. Those businesses that end up applying and being approved for a small business loan will find this is one of those expenses in which they have to prepare for. The loan for a small business will be given, yet it has to be paid back every month. 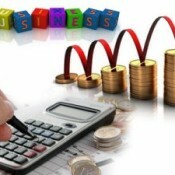 This is an expense in which cannot be cut out of the budget as it is too vital for the business to avoid. Those businesses that do not pay off their loans and fall behind the payments are legally held responsible for this debt and as a payment; their business could be turned over to the bank and sold to interested parties. Saving money for your business is no easy task, and it is one in which several businesses fail at. However, if you calculate the loan amount you need to pay, along with the expenses in which your business can do without and still produce quality products or services, then you are on the right track. Through making a budget and sticking to this budget, a business can ensure they are going to last for years to come on the market. There are several businesses who find after just a few short years, they are having to close their doors. In the majority of these cases, the reason for their doors closing is due to financial problems. Those businesses who take the time to plan in advance are going to be able to get through any economy downshift or turmoil they face. There are several sources of help for making a business budget, and the person will want to ensure they are looking into these. The accountant for a business is the first place to turn for help, as they are going to know just how to cut corners without sacrificing quality.